Apple’s refusal to license the Lightning Adapter killed the Kickstarter project and lead to the largest refund in the site’s history. 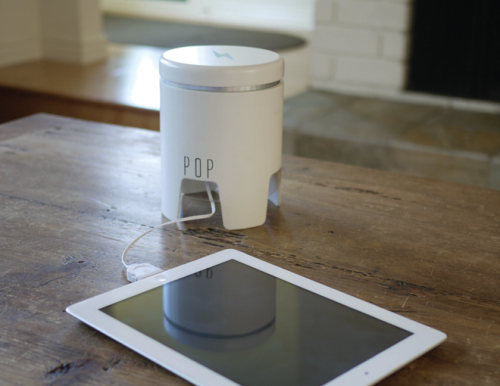 Jamie Siminoff and Edison Junior raised over $139,000 on Kickstarter to create POP, the minimalist multi-device charging station, but they have been forced to give that money back. According to a statement posted on the site (via Wired), Siminoff has informed their backers that they can’t kick off the project – even though they surpassed their $50,000 goal — because after applying to Apple (required for Lightning) they learned that the Cupertino company is no longer willing to approve a product that uses the Lightning charger alongside any other charger (in this case the 30-in). 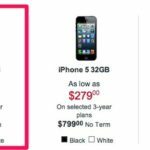 – We could not do Lighting USB cables or adapters as Apple controls both of those and even wholesale they sell above $25 a piece. -Doing a USB only would have satisfied some of you but would have lowered our volume to a point where it would be much more expensive to make the product. -Kickstarter and crowd funding should be the start of a product not the end. We had a lot of interest from major retailers on POP when it was a iPhone/Android/Blackberry/mini-USB charger, as a stand alone USB battery charger that interest was not as strong, Siminoff informed its backers in a comment. As a result, Siminoff and Edison Junior will refund the money 100%, meaning they will pay the 3% fee that credit cards take and Kickstarter’s 5% through their own crowdfunding site Christie Street, as Kickstarter has no mechanism for returning the funds to backers.